I thought this day was going to be hard to stick to my new nutritional plan but it turned out fine. Pitfalls could be lunch out with our daughter and dinner at our son’s house. After a quick piece of toast with peanut butter, daughter and I were off to get our hair cut by the amazing Gretchen. We are willing to schlep over to Burlingame for her expertise. We make a good half day of it ending with a late lunch out. Today she chose Baja Fresh because she likes it and she knows I can get something I want to eat. 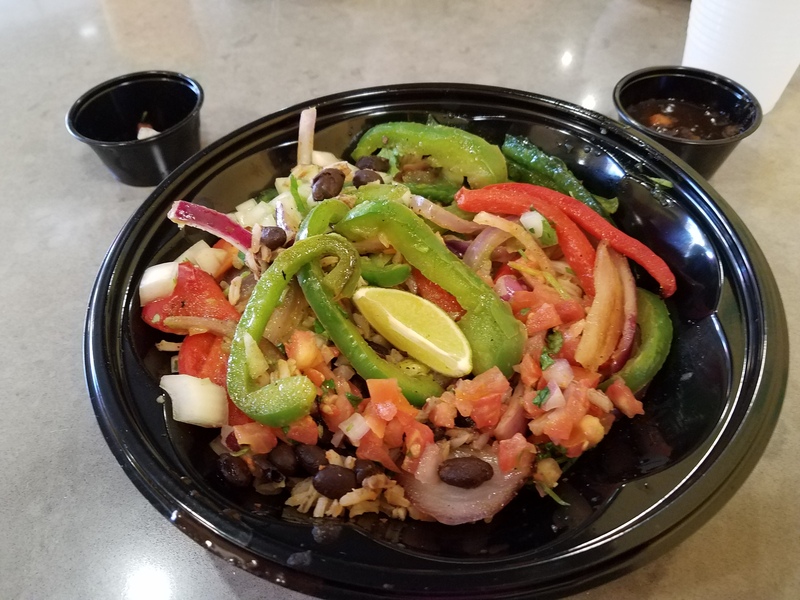 I settled into a veggie Baja bowl that was good although contained way too many green bell peppers. While I was gone John made deviled eggs as an appetizer to take to our son’s house. When we got there I was pleased to see that he had cooked saag paneer. It is not vegan but is at least vegetarian. And it was so good!! I loved the cheese cubes and also the sides of dal (lentils) and basmati rice. It was also wonderful to see my grandkids happily eating what is a pretty healthy dish. I should have known that today would turn out great. Just seeing all my family makes the day special regardless of the food! 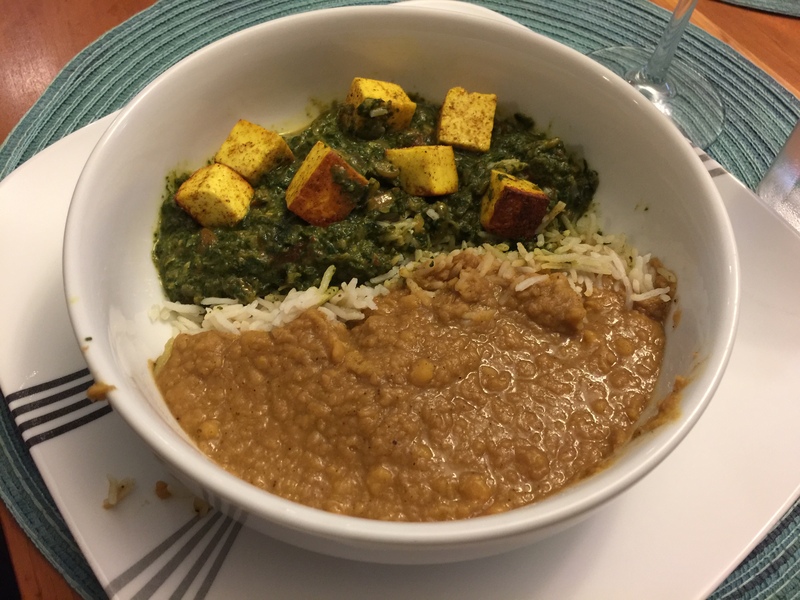 This entry was posted in rice, Vegan, Vegetables, Vegetarian and tagged black beans, lentils, rice, saag paneer, spinach, Vegan. Vegetarian, Vegetables, veggie bowl. Bookmark the permalink.